Intel introduced several products including the Intel Atom processor E3800 product family (formerly codenamed "Bay Trail-I"), a new family of Intel-based intelligent gateway solutions featuring integrated software from McAfee and Wind River, and new features for the Intel Quark SoC X1000. 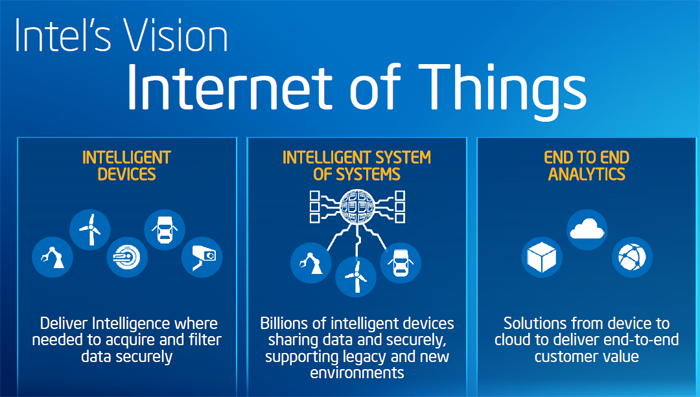 The product set supports Intel's "Internet of Things" initiative which envisions intelligent devices, end-to-end analytics and the connection of legacy devices to the cloud as the drivers of business transformation. The new low-power, small-core Intel Quark SoC X1000 features error-correcting code (ECC), industrial temperature range and integrated security. ECC delivers a high level of data integrity, reliability and system uptime for equipment required to run at all times, while industrial temperature range helps meet the requirements for industrial control and automation applications. The Quark processor core is a 32-bit, single core, single-thread, Intel Pentium instruction set architecture (ISA) compatible CPU operating at speeds up to 400MHz. The new Intel Atom processor E3800 product family features improved media and graphics performance, ECC, industrial temperature range, integrated security and integrated image signal processing. This product family is ideally suited for digital signage applications such as interactive kiosks, intelligent vending, ATMs and point-of-sale terminals as well as portable medical devices and in-vehicle infotainment systems. For connecting devices, Intel is working with McAfee and Wind River on a new family of intelligent gateway solutions that provide common interfaces and seamless communication between devices and the cloud. Targeting industrial, energy and transportation markets, this system of systems helps ensure that the data generated by devices and existing infrastructure can be shared securely between the cloud and intelligent devices for analysis. Intel;s new family of intelligent gateway solutions provides integrated and pre-validated hardware and software, including McAfee Embedded Control and the Wind River Intelligent Device Platform. These enable users to securely aggregate, filter and share data from the edge to the cloud in areas such as monitoring high-value industrial assets, facilitating manufacturing automation, energy grid automation, and commercial fleet monitoring. The first set of intelligent gateway solutions will feature versions based on the Intel Quark SoC X1000 and Intel Atom processor E3800 product family and will be available in the first quarter of 2014. Intel is also developing horizontal building blocks for vertical end-to-end analytics as well as distributed analytics for edge systems and data center. The goal here is to unlock the data intelligence from the device through the network to the cloud to enable new business models and service offerings. 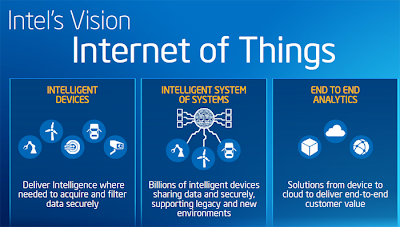 "The Internet of Things consists of a wide range of Internet-connected devices, from a simple pedometer to a complex CT scanner," said Ton Steenman, vice president and general manager of Intel's Intelligent Systems Group. "The true value in the Internet of Things is realized when these intelligent devices communicate and share data with each other and the cloud, uncovering information and actionable insight that can transform business. As a leader in computing solutions from the device to the datacenter, Intel is focused on driving intelligence in new devices and gateways to help connect the billions of existing devices." IEEE has launched an Intercloud Testbed project with the goal of developing cloud-to-cloud interoperability and federation capabilities. Founding members include 21 cloud and network service providers, cloud-enabling companies, and academic and industry research institutions from the United States, the Asia-Pacific region, and Europe. The members have volunteered to provide their own cloud implementations and expertise to a shared testbed environment. They will also collaborate to produce a working prototype and open-source global Intercloud. “We are immensely pleased to introduce our founding members and thank them for their lab and engineering contributions, which are the backbone of this effort,” said Steve Diamond, chair of the IEEE Cloud Computing Initiative. 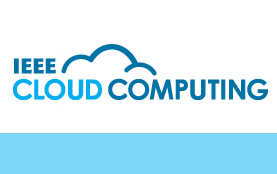 “The IEEE Cloud Computing Initiative is advancing an ecosystem in which clouds and cloud services can federate to enable new services and increase the value of cloud computing to industry and end users. By joining the IEEE Intercloud Testbed, these member organizations are providing the invaluable resources and capabilities needed to realize this vision. We appreciate their participation and collaboration in this fundamental and important work. Alcatel-Lucent expects a net reduction plan of approximately 10,000 jobs worldwide by the end of 2015. The company presented its cost savings plan to its European works council (ECID) saying the cuts are necessary to ensure a stable financial future as envisioned in its Shift Plan. The job cuts would include a reduction of 4,100 positions in Europe, Middle East and Africa, 3,800 in Asia Pacific and 2,100 in Americas. By the end of 2015, Alcatel-Lucent will halve the number of its business hubs globally. Business activities in France dealing with service providers will be concentrated in two main sites – Villarceaux, south of Paris, which will become Alcatel-Lucent’s primary R&D center in Europe and one of the world’s largest R&D campuses, and Lannion, which will specialize in ultra-broadband mobile access and subscriber data management (SDM) technologies. Michel Combes, CEO of Alcatel-Lucent said: "We launched The Shift Plan in June to give Alcatel-Lucent an industrially sustainable future. The strategic choices we made have been validated by our customers. To carry out this plan we must make difficult decisions and we will make them with open and transparent dialogue with our employees and their representatives. The Shift Plan is about the company regaining control of its destiny." 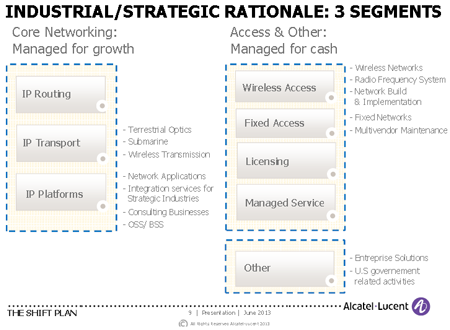 In June 2013, Alcatel-Lucent outlined a "Shift Plan" aimed at transforming the company from a generalist supplier of networking solution into a specialist provider of IP Networking and Ultra-Broadband Access. The company is targeting Euro 1 billion in reduced sales, general and administrative (SG&A) expenses over the next three years as it makes a decisive in its industrial focus toward high-value equipment and services. The federal government of Canada has rejected the proposed acquisition of MTS Allstream by Accelero Capital Holdings S.a.r.l. ("Accelero"), citing national security grounds. MTS Allstream said it is extremely surprised and disappointed by this decision. The company continues to argue that the sale is in Canada's net benefit and not injurious to national security. 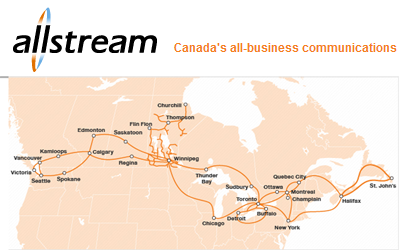 In May, anitoba Telecom Services (MTS) agreed to sell its Allstream division to Accelero Capital Holdings , an investment and management group, for $520 million, subject to certain customary adjustments. The deal is expected to close in the second half of 2013, subject to receipt of Investment Canada approval and customary closing conditions. The Mountain View, California, Police Department (MVPD) is testing a mobile phone tracking application from Polaris Wireless to provide commanding officers with visibility of where on-duty officers are located. The Polaris Wireless Altus blue force tracking application has already been used to augment police safety measures at a recent area concert. Altus was used to locate and track over twenty uniformed and plain-clothes police officers during the two-day concert, during which the MVPD conducted approximately 100 arrests. During this pilot deployment, some officers were equipped with department-provided mobile phones, which were monitored using Polaris Wireless Altus from a command post set up in the event grounds. Altus blue force tracking provides police departments and other law enforcement organizations with the ability to track police and other field officers (such as firefighters and emergency medical services (EMS) technicians), specifically when they are out of reach of their patrol vehicles, which typically contain separate location and tracking capabilities. San Francisco-based Locaid, the world’s largest LaaS (Location-as-a-Service) company, provided the officers’ location information, which was then displayed on the Altus tracking application. 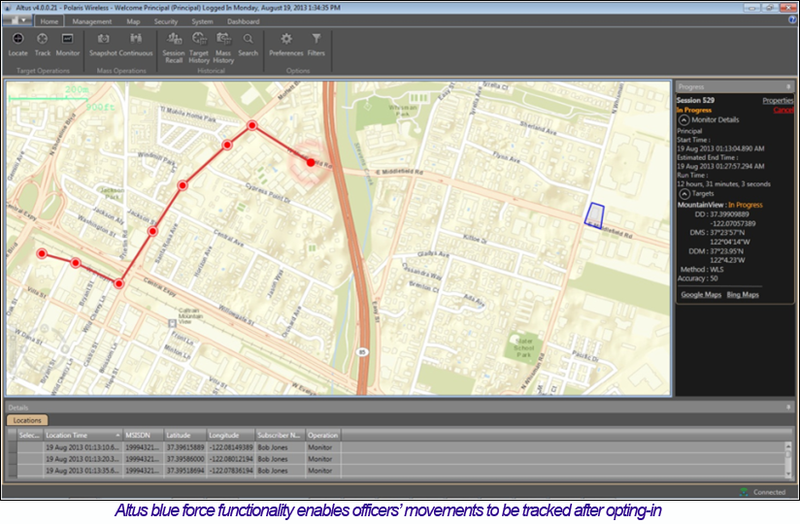 As a result, MVPD commanders were able to track officers’ movements during the concert. Altus provides a more efficient and less obvious way of tracking an officer’s location than traditional 2-way radio and verbal alerts. 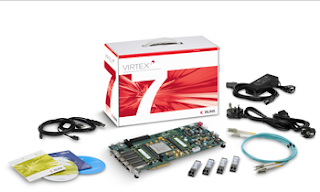 Xilinx released its Virtex-7 FPGA VC709 Connectivity Kit for high-bandwidth and high-performance applications, such as network interface cards for security, network monitoring, and high frequency trading appliances. The Virtex-7 FPGA kit is aimed at developers needing to prototype their low power, high performance, single-chip PCIe Gen3, 40Gbps Ethernet applications. The kit provides a fully validated and supported targeted reference design that integrates the entire PCIe Gen3, AXI, Ethernet and DDR3 subsystem with both the HDL and the entire software stack. An evaluation license of the Northwest Logic DMA IP core is also included in the connectivity kit. Brocade introduced a campus switch meeting the security, certification and supply-chain procurement requirements for the U.S. federal market and public sector agencies. 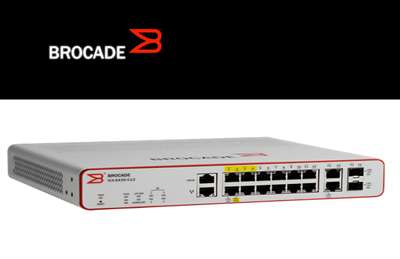 The Brocade ICX 6450-C Switch, which supports the simplification and automation provided by the Brocade HyperEdge Architecture, is specifically designed for U.S. Federal agencies and public sector organizations. Using Power over Ethernet (PoE) is can be powered by powered by an upstream switch. List pricing of the Brocade ICX 6450-C Switch is $1595 with the first customer shipment on October 11, 2013 and general availability on October 31,2013.